Tic-Tac-Toe with a French twist! 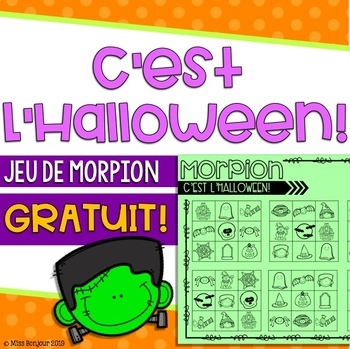 This fun, traditional game encourages speaking in the target language while reviewing vocabulary with a partner. 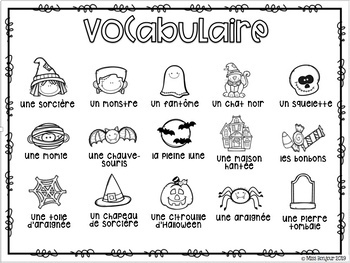 In order to place an X or O on the board, students must correctly identify the picture in the space in French. The first student to get three in a row wins! 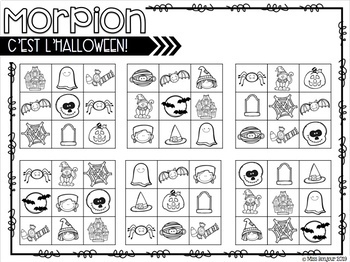 This activity comes with instructions with different ways to play, a vocabulary sheet, and two copies of the tic-tac-toe boards in color and black and white, each with 10 different Halloween vocabulary words. 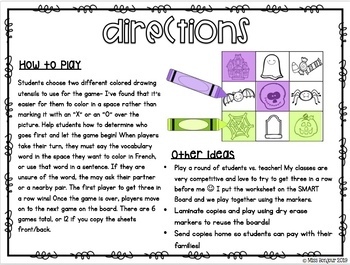 Your students will love this game!